Nannaemma : Christmas lights, Leona Lewis, Robbie Williams & Taylor Swift? Christmas lights, Leona Lewis, Robbie Williams & Taylor Swift? 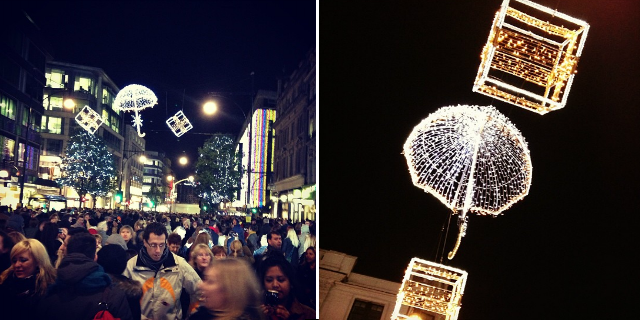 Cannot wait for the lights to be turned on in Covent Garden, Trafalgar Square and on Regent Street as well. Everything feels a bit more magical when there's sparkly and fairy lights involved, don't you think? I'm going to Westfield tomorrow to see their Christmas lights being turned on by none other than Taylor Swift! I was such a big fan of her back in the days when she only did country. So how can I miss the chance to see her! ps. I did re-arrange a few things on the blog layout, what do you think?